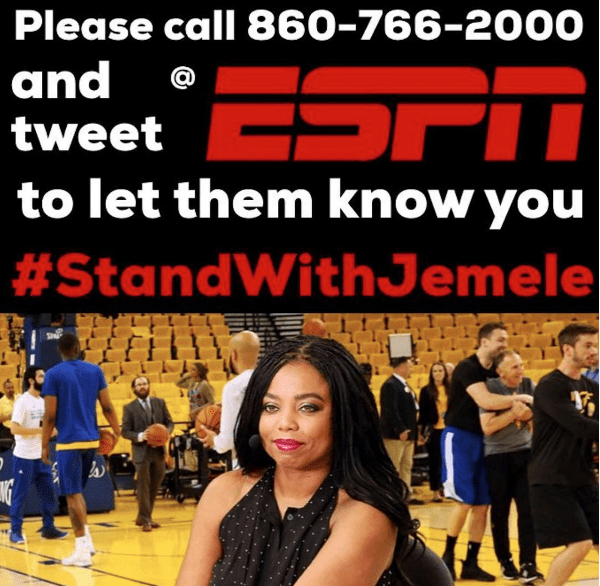 Monday afternoon, ESPN announced they have suspended host Jemele Hill for two weeks due to “a second violation of our social media guidelines” for a series of tweets of her opinion on the President’s involvement in recent NFL news. 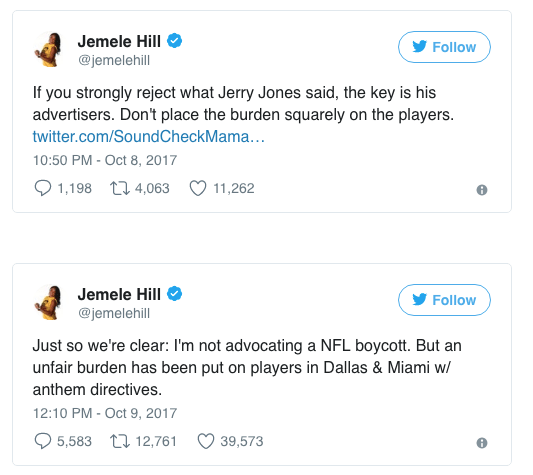 We see which side ESPN is on. The public responds with their own protest in honor of Jamele to cease her suspension. Many questions surface as to why the President of the United States get to pick on whomever he wants on his twitter, using his freedom of speech yet when others follow suit, they are punished. This image has gone viral on all social media outlets in her support.